CAPTAIN JOSEPH HYDE, ONCE CRIMEAN MASTER GUNNER. There has just passed away in peaceful Hataitai an old soldier who, at Inkerman in 1854, was one of those who served the two historic field guns that turned tho tide of that sanguinary battle. The episode is an outstanding one in the records of human valour, also in the astonishing progress of modern artillery. Born at Woolwich on 23rd June, 1831, nearly a decade before New Zealand became a colony, Captain Joseph Hyde, an artilleryman and the son of an "artilleryman, served in the Crimean War (1854-56), and when his term of service as a non-commissioned officer in the Royal Artillery expired, came to New Zealand as a Field Artillery Instructor (with the rank of sergeantmajor) in 1876; superannuated from that service, he went to live in Nelson, and became Captain of "H" Battery, N.Z.F.A. ; then, his volunteer service being ended by age, he retired to Wellington, where he has resided for some fifteen years. Few perhaps realised that he was a link not only with the reign of William IV, and with the Crimean War, but also an actor in one of the most notable artillery feats of last century. A life that reaches back to pre-Victorian times has indeed spanned some history. DESPERATE BATTLE IN THE DARK. Seventy-two years ago, on the night of 4th November, 1854, the outlying pickets of the British investing forces could hear the rumble of wheels and other sounds caused by the beleaguered Inkerman garrison preparing for what was to prove an historic sortie. A thick mist following heavy rain made ideal conditions for a surprise attack, and Brigadier-General Codrington had just voiced that anticipation when the Russian lines in front of him broke into fire. "The Russian generals had harangued their troops, whom the priests had blessed and the quartermasters had filled with vodka, and, fifty thousand strong, and supported by forty guns, they were on the march to break the British line, on the extreme right of the Allies' entrenched front." For these beginnings, and the desperate melee that ensued in the darkness, "The Post" is indebted to articles by Colonel A. A. Grace, N.Z.F.A., in New Zealand papers, and to British authorities quoted by him. To meet the 50,000 Russians there were but 8000 British troops available, and they had to withstand the shock concentrated on a three-quarter-mile front, supported by Russian batteries on what was called Shell Hill. Rarely in military history, to that date, had such artillery fire been concentrated, and for so long, on an equally confined space. In the darkness, colonels fought like subalterns, captains like privates. In the bombarded British ranks there arose — as sixty years later — a cry for guns and shells to answer back. 18-POUNDER SMOOTH BORES TO THE RESCUE. Then it was that the British Commander, Lord Raglan, remembered the existence of two long 18-pounders that had lately arrived from England, but had not been brought into the firing line. They were cast-iron smooth-bore guns of great length, (over 20 calibres) and fired solid shot and shell. They were brought into action, and "from the beginning of their practice it was evident that at last the British had brought into the firing line weapons with which they could deal effectively with the Russian artillery. The 18 pounders' projectiles burst squarely in the middle of the Russian gun-position; their shells wiped out whole gun detachments, smashed the enemy's guns, and silenced complete batteries. From the moment they found the range of the Russian position, these astonishing 18-pounders completely outclassed the enemy's artillery. Neither did they cease fire while a single Russian gun remained in action. Then it was that the French reinforcements arrived, and with them the weary and depleted British regiments advanced, and the Russian infantry was driven from the field." Half a century or more later, Colonel Grace, proposing the health of Captain Hyde at a gathering of 5th of November (the Inkerman date), quoted from Major May's "Achievements of Field Artillery" the story of "those two incomparable guns, and the marvellous fire-discipline of their detachments, whose gun-laying and valour contributed so markedly to the British victory." He invited Captain Hyde to speak of them. "What you have heard of those two guns is quite true," said the veteran. "I was one of those who served them. I cannot describe what happened any better, though I was present. All I can say is that we blew the Russian guns and gunners to pieces. No doubt it was terrible for them, but of signal service to the British Army." Of the 8000 British soldiers engaged at Inkerman, possibly a few score remain. That they have survived the rigours of war and of the Crimea, and particularly of that battle in which the British were outnumbered six to one, speaks to their vitality. Their memory is precious. "That," writes Colonel Grace, "is why I have set down a few of the things I recollect of Captain Joseph Hyde. A better soldier never served his Sovereign. It is a pleasure to know [this was written some six weeks ago] that he is remembered and respected by his many friends in this his adopted country, where, surrounded by his family and his many descendants, he lives honoured and beloved 'length of days in his right hand, and in his left glory.' "
The descendants of this remarkable nonagenarian are indeed many. Captain Hyde leaves a widow and eight surviving daughters, also five stepchildren; in the third generation there are 23 grandchildren; in the fourth, 40 great-grandchildren. All live in New Zealand, which has been Captain Hyde's country since 1876. Lacking the century by less than five years, Captain Hyde passed away at his home at Hataitai on Tuesday. 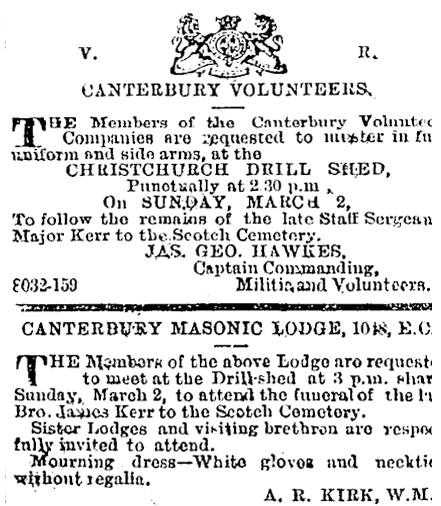 The interment will take place to-morrow at 11 a.m. at Karori, with military and Masonic honours. Will many of the old soldier's Crimean War comrades be unseen witnesses at the Last Post? Mr. George Alfred Watkins, who died in Dunedin this week, aged 96 years, had for a very long period been a well-known figure in the city. He had a splendid record as a Crimean War veteran and as a particularly versatile pioneer in Otago. He was born in Brompton, Kent, and when a young man joined the regular forces. He saw service on H.M.S. Cleopatra in China and Borneo, and took part in the Rangoon War. During the Crimean War he was on H.M.S. Diamond. In 1864 Mr. Watkins settled in Otago, and until within two years of his death had enjoyed remarkably good health. He maintained a keen interest, in all matters social, political, municipal and martial. He was happy, contented and full of energy. It. is interesting to note that he shook hands with the present King when, as Duke of York, he visited New Zealand, and also with the Prince of Wales in recent years. In the province of Wellington, in March, 1855, for the relief of families of soldiers ordered to the Crimea, £1848 10s 2d was subscribed, £1000 of which was remitted to the English Patriotic Fund, and the balance for the relief of soldiers. The ladies of Wellington, in addition, collected £1000 for providing additional nurses and hospital necessaries for the sick and wounded of the allied armies. James Culley also known as James Blake served during the whole Crimean campaign, being at Alma, Balaclava and Inkerman and taking part in the siege of Sebastopol. As a private in the Scotch Fusiliers, Blake was an eye witness to the famous Charge of the Light Brigade. After being wounded he was repatriated to England where he soon recovered. He tried to return to the war but was turned down twice. When he applied again under the name of James Culley he was accepted and sent out to serve with British forces in India and thereafter to New Zealand as part of the Police force. He ended up farming at Papatawa near Woodville, and although never married reputedly had descendants. He died aged 75 and his funeral procession went through the main street of Woodville on 18 September 1907. A well-known and esteemed resident of Richmond, Mr Valentine Blake, died at his residence on North Avon road last night, Mr Blake, who was a nephew of the late Sir Thomas Blake, of Menlough Castle, County Galway, enlisted in the Royal Horse Artillery at the age of sixteen, after which he served in the 17th Lancers, and then joined the 17th Regiment of Infantry (the Leicestershire Regiment). While in the Army he took part in the Crimean campaign, and was wounded. Retiring from the service with the rank of sergeant, he came to New Zealand, arriving here in November, 1857. He lived in the Richmond district for the past thirty-five years, and was greatly respected. Mr Blake leaves a widow, two daughters, and one son. DEATH. Tattersall — On the 19th September at the Grey River Hospital, Mary Tattersall, native of Headingley, Leeds, England, and late of Greymouth, aged 70 years. A link between Greymouth and the Crimean War has been established by the discovery of the grave in the Greymouth cemetery of Miss Mary Tattersall, one of the original Florence Nightingale nurses. The daughter of a country clergyman in England, Miss Tattersall went to the Crimea with Florence Nightingale after her fiancé had been killed in action. At the end of her service she came to New Zealand and resided at Greymouth, where for about 30 years she was a professional nurse. In a letter to the matron of the Grey Hospital (Miss N. Moffatt). Mr. William Noy, a former resident of Greymouth, recalled that in 1895 Miss Tattersall was buried at Greymouth. Steps have been taken by the Registered Nurses' Association to restore the grave. 1865 - Miss Mary Tattersall resigned as matron, Timaru Hospital 13 Dec.
SAILED. January 20 — Geelong, p.s., 137 tons, Hart, for Lyttelton, via intermediate ports. Passengers—Miss Beswick and Miss Tattersall. LYTTELTON. arrived. Jan. 21— Geolong, p.s., 137 tons, Hart, from Dunedin, via intermediate ports. Passengers - Miss Beswick, Miss Tattersall, Mr. Scarborough. Captain Austin, an old resident in the Lakes District, died suddenly. He had served in the Crimean and New Zealand wars. A travelling tinker named Charles Le Cree, better known as "Peg- leg," was found dead on the Winchester road, near Geraldine, Canterbury, on Friday night. When found the body was warm, and there was a cut on each side of the forehead. At the inquest on Saturday it was stated that a vehicle without lights had passed along the road shortly before the body was found. The jury returned an open verdict that deceased was found dead, but there was nothing to show the cause of death. Deceased was supposed to be about 84 years of age, and was known on the roads from one end of the colony to the other. He was a Frenchman, had been in New Zealand for over 30 years, and is said to have seen service in the Crimean and Maori wars. Press Association. Dunedin, February 16. The death is announced of Captain Sydney Herbert Davis, a Crimean and Maori war veteran, who also served in the Confederate Army during the American Civil War and was wounded at Gettysburg. He continued to serve until General Lee's surrender in 1865. Mr Davis was aged 77 years. WAR VETERAN'S DEATH. DUNEDIN, this day. The death is announced of Captain Sydney Herbert Davies, aged 77, a Crimean and Maori war veteran. He also served in the Confederate Army during the American civil war, and was wounded at Gettysburg. He continued to serve until Lee surrendered in 1865. 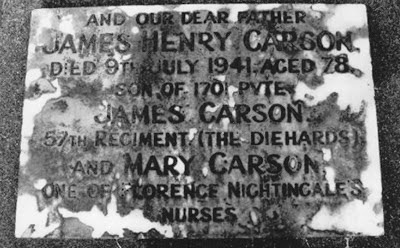 James Carson, son of Robert and Ann Carson of Edenderry, was born on the 15th August 1823, near the town of Lisburn, Co Antrim, Northern Ireland. He worked as a weaver before enlisting with the British Army at Belfast, in 1844. James, with his wife Mary and daughter Ann, traveled to India as a private with the 57th Regiment of Foot (The Diehards). The regiment returned to Dover Castle, England in 1846, and later saw service in Leeds, Enniskillen, Armagh, Dublin, and Kilkenny.In 1853 they were sent to the Ionian Islands in the Mediterranean, and were ready for action after the Battle of the Alma, which took place on the Crimean Peninsula. The 57th Regiment arrived at Sebastopol in September 1854, and fought at the Crimea for the remainder of the war. 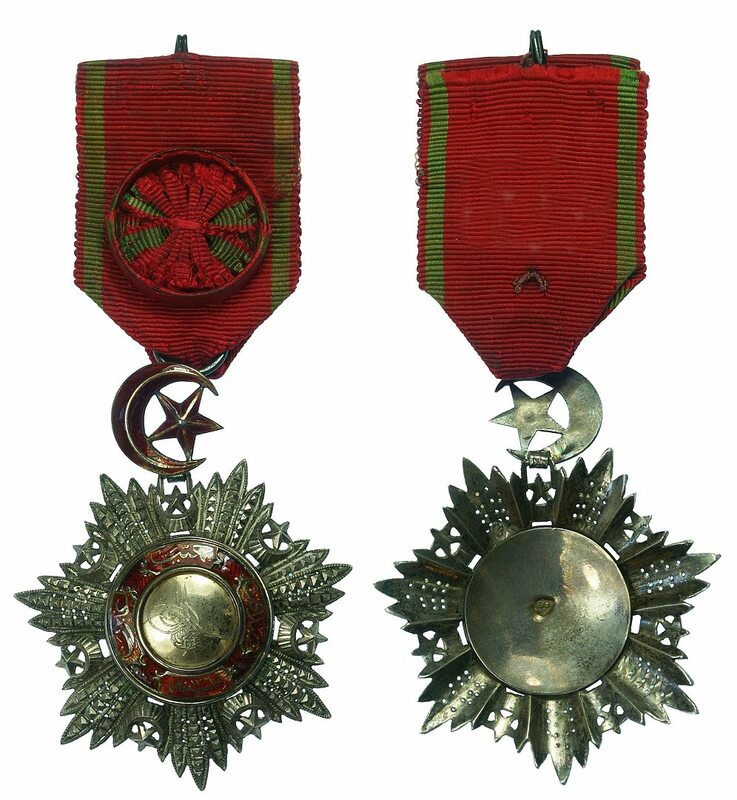 James Carson was present at the battles of Sebastopol, Balaclava and Inkermann, for which service he was later presented with medals and clasps. The regiment remained in the Mediterranean at Corfu and Malta, and it was during this period that James was invalided back to England, suffering from an eye disease, which many of the soldiers had contracted due to the climatic conditions. He came before the Medical Board at Kilmainham Hospital, Dublin in 1858, and received his discharge as “unfit for duty” later that year. From this date he was registered as a Chelsea Pensioner, first receiving his pension from the depot at Manchester, England. At the age of 42, with his wife and family of three, he traveled by train from Ashton-under-Lyne, to Glasgow, Scotland, where they boarded the ship “Resolute” for passage to New Zealand. Although the immigrants were destined to populate land in the Waikato, James and Mary did not wait to take up their land grant, but instead sailed on to Wellington. Ann Carson, their eldest daughter, who had married a soldier in the 57th Regiment while the family were in Malta, had arrived in New Zealand in 1861, when the regiment were sent from India, to take part in the conflict over land settlements in Taranaki. In 1865, Ann’s husband, Sergeant-Major Robert Fraser, was in charge of the Cuba Street Barracks in Wellington and it is very likely that the two families wished to be re-united. As a military settler, James continued to draw his pension when he joined the Veteran Corps of the Volunteers in Wellington, serving for 4½ years. During this period he was recruiting men on behalf of St John Braningan, and Col. Reader of the Armed Constabulary. The family were living in Tinakori Road, and later in Parliament Street. James Carson fell while stepping down from the tram at the corner of Willis and Manners Streets, and was taken to Wellington Hospital suffering from a broken hip. He died in hospital 3 days later, on the 1st July 1890, and was buried in the Mount Street cemetery. This photo was taken at Terrace End Cemetery, Palmerston North and is the headstone on the grave of James and Mary Carson's son, James Henry Carson. Private James Carson's grave at Mt Street cemetery, Wellington no longer has a marker.